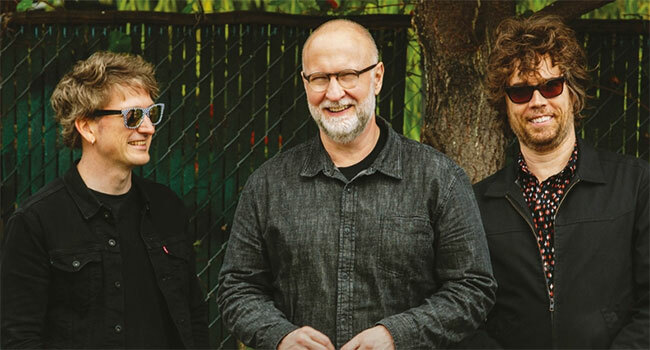 Bob Mould releases the song “What Do You Want Me To Do” from his new full-length album Sunshine Rock, out February 8, 2019 via Merge Records. In addition, for the first time ever, Mould shares a behind the scenes look of his time in the studio. Never before has he allowed a camera crew to affect the creative process. Now he shares these moments with the public as the Sunshine Rock Studio Session, which is now available. Meanwhile, the new single “What Do You Want Me To Do” is described by Mould as “a quick take on shaky relationships, coincidental debauchery, and the emptiness that typically follows such follies.” The song follows the new album’s title track “Sunshine Rock,” which was released in October. Sunshine Rock comes from a very personal place of newfound optimism for Mould, a place found in Berlin, Germany, where he’s spent the majority of the last three years. Here Mould would draw inspiration from the new environments. Sunshine Rock follows the 2016 release of Patch The Sky, also on Merge Records, which was hailed by Rolling Stone as “conjuring the ecstatic rage of his earlier bands for a grim new era” and as “tight, sharp musings on aging, fizzled relationships and death that are melodic enough to sound like songs of victory” by The New York Times. Patch The Sky completed a trilogy including its 2014 predecessor Beauty & Ruin and 2012’s Silver Age. Mould also shares that Screaming Females, Criminal Hygiene, and Will Johnson of Centro-matic have been added as support, as well as the previously announced Titus Andronicus, for select dates on the upcoming tour spanning North America and Europe, which starts on Valentine’s Day 2019.